It’s been nearly 5 months since the Galaxy S8 was released. If you’ve been busy, don’t worry. We’re recapping all the most recent news, updates, and developments in one place. It’s a great resource, so make sure you check it out. It’s been 3 months since the Samsung Galaxy S8 and S8+ first launched. 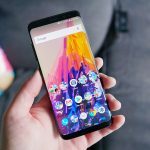 Those still on the fence about the phone might be asking yourselves how the phone has held up this entire (especially against competition like the HTC U11 and OnePlus 5). Let’s find out. After spending a good few weeks with the Samsung Galaxy S8, we’re compiling a huge list of our favorite tips and tricks. With over 65 tips, there’s something here for everybody. The Samsung Galaxy S8 and Samsung Galaxy S8 Plus are finally here! Now it’s time to get down and dirty with tips and tricks. 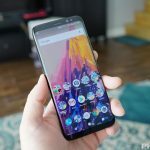 Those with unlocked S8/S8+ in the US get the latest OS update. 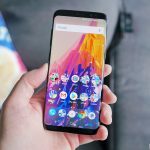 Samsung is promising Oreo to Galaxy Note 8 owners on all US carriers within 2-3 weeks. Meanwhile, one minority group of users is still left in the dark. 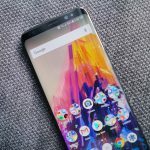 The Android 8.0 Oreo update is beginning to roll out to owners of the Galaxy S8 and Galaxy S8 Plus on AT&T and Sprint. 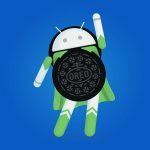 The Galaxy S8 and S8+ are receiving the Android 8.0 Oreo update along with the Samsung Experience 9.0. The update is currently rolling out to folks on Verizon. Folks should keep an eye out for a build number of G955USQU2CRB9. Expect lots of Oreo goodness, including picture-in-picture and autofill features, once it’s installed. For a limited time, you can get a free pair of the Gear IconX wireless earbuds with the purchase of a Samsung Galaxy S8 or Samsung Galaxy Note 8. 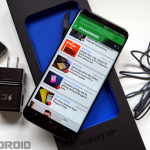 Samsung reportedly halted the updated yesterday without much of an explanation. Today, Samsung has revealed why they put a stop on the update. After beginning the rollout of Android Oreo for the Galaxy S8 lineup last week, Samsung has reportedly halted the update from being available in other regions and is already working on a new version to push to devices. 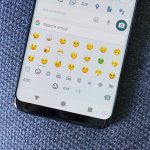 Samsung is giving their emoji an overhaul with Samsung Experience 9.0, arriving as part of the Android 8.0 Oreo update. 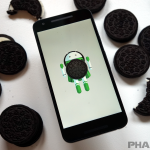 It’s a little later than we’d like, but the Samsung Galaxy S8 and S8 Plus are finally receiving their upgrades to Android 8.0 Oreo with the funniest build version number we’ve ever seen. 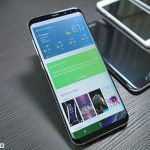 Beta testers for the Oreo update on the Samsung Galaxy S8 and Galaxy S8+ are receiving a notification letting them know the beta will conclude on January 26th.